We trust your immediate family and friends are well and made it through the Hurricane with minimum effects. Sacred Hearts Academy opens on Monday and will resume its regular schedule and activities, as a "G Day". Mahalo to our staff which "stood watch" during the past several days. Our prayers are with Hawaii's people who are recovering from Hurricane Lane's effects. It is with joyful hearts that we welcome our Lancers back on Monday morning. 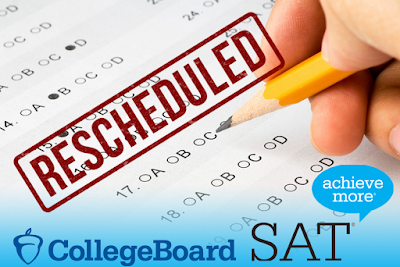 Due to #HurricaneLane the SAT Exam administered by CollegeBoard scheduled for this Saturday, August 25th at Sacred Hearts Academy has been CANCELLED. CollegeBoard will be reaching out to all those registered to inform them of this change in addition to the closure being posted on their website under "Test Center Closings". It has been re-scheduled for September 15th at Sacred Hearts Academy. The CollegeBoard website states, "If your test center is closed and a new center is listed: 1. Sign in to your College Board account. 2. Print an updated Admission Ticket with the new test center information. 3. Required: Bring your updated Admission Ticket to your new test center." Due to #HurricaneLane all Hawaii test sites are closed with many listing make-up dates as September 15th, or pending information. We thank you for your patience and understanding; and pray that you and your 'ohana remain safe this weekend. We look forward to serving as a testing site for the SAT Exam on September 15th. Mahalo. 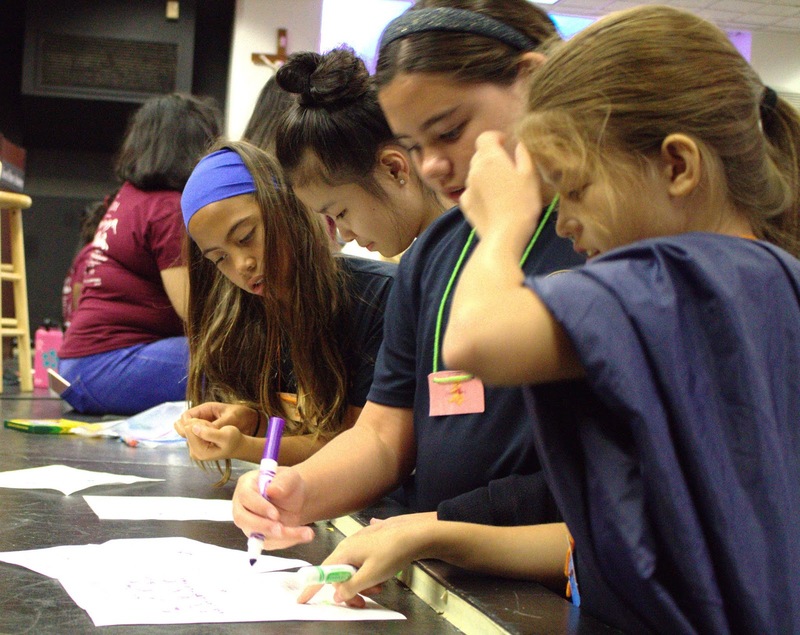 Sacred Hearts Academy will follow its usual school schedule today (August 22, 2018) with after-school care provided by Kama'aina Kids until 6:00PM. After-school activities for athletics have been cancelled for today. The Academy will be closed on Thursday (August 23) and Friday (August 24) because of Hurricane Lane. Thank you for praying for the safety of Hawaii's people and their property during this storm. As you are doing with your homes, we are taking as many safety precautions as possible to protect the school. We will have a small crew working, and contact us if we can help your family in any way. Also, supports and guides student leaders in grades seven to 12 and is the advisor for the Student Council on these levels. 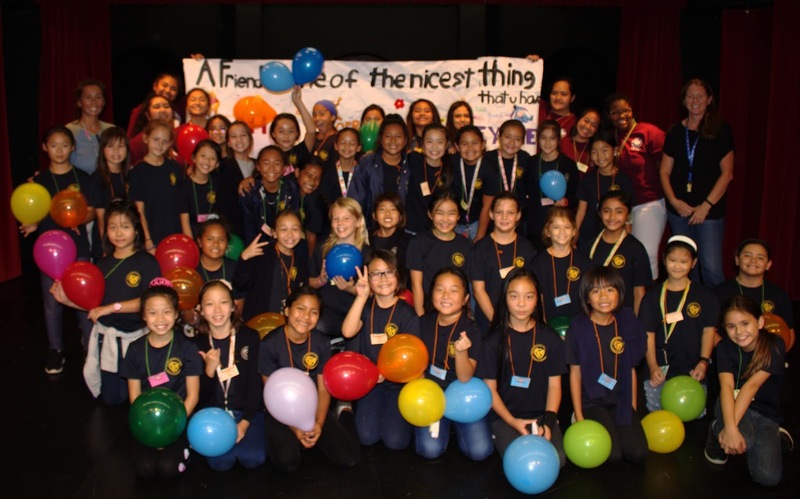 Is working to help the Student Council implement new activities to promote “sisterhood,” togetherness and the bonds of “Family,” its theme this year. 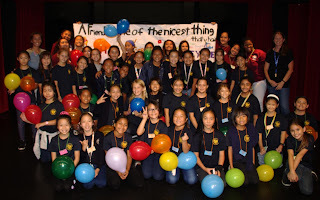 Finds success in the results of helping the Student Council members plan new, innovative events – along the way, fostering their creativity and encouraging and developing their individual leadership styles. Previously, taught Mathematics to the Academy’s Junior High and High School students from 2014 to 2016; because of her husband’s job with the United States Navy, relocated to Groton, Connecticut for about two years. Was raised in Corpus Christi in Texas, and in addition to Groton, has traveled to 12 other countries. Along with husband, Sean Rocha, is “raising” Raider Rocha, an eight year-old German Shepherd. Sacred Hearts Academy is tracking closely the National Weather Service's updates on Hurricane Lane. We kindly urge to our Academy 'ohana to make sure that your contact information in EDUCATE is current. The updated emails are essential for you to receive any information the school sends out about Hurricane Lane. In anticipation for the possible upcoming hurricane effects on Oahu, Sacred Hearts Academy will notify parents via our EDUCATE system should a school closure be necessary. Hurricanes can cause life and property-threatening hazards such a flooding, storm surge, high winds and tornadoes. The Hawaii Red Cross recommends that residents update their family evacuation plan, emergency preparedness kit and get better prepared. Preparation is the best protection against the dangers of a hurricane. Identifying two meeting places: one right outside your home in case of a sudden emergency, like a fire, and one outside your neighborhood in case you can’t return home. Making advanced preparations for your pets. Be aware that pets may not be allowed in shelters. Contact hotels, motels, family members and animal shelters to see if they would allow pets in a disaster situation. Keep a contact list of “pet friendly” locations. If you are asked to evacuate, take your pets with you. Choosing an out-of-area emergency contact person. During or after a disaster, it’s often easier to call long distance, especially if local phone lines are overloaded or out of service. Family members should call this person and tell them where they are. Everyone must know your emergency contact person’s phone number and email address. Find out what types of disasters are likely to occur in your area and how to prepare for each. Contact the Hawaii Red Cross for details about community disaster education presentations that may be arranged or are available in your workplace, school or community organization. Get trained in CPR and first aid so you will know how to respond to emergencies in the event that help is delayed. Secure your home by unplugging appliances. If you have propane, turn off the tank. Use flashlights in the dark. Do NOT use open flames, such as candles and kerosene lamps, as a source of light. 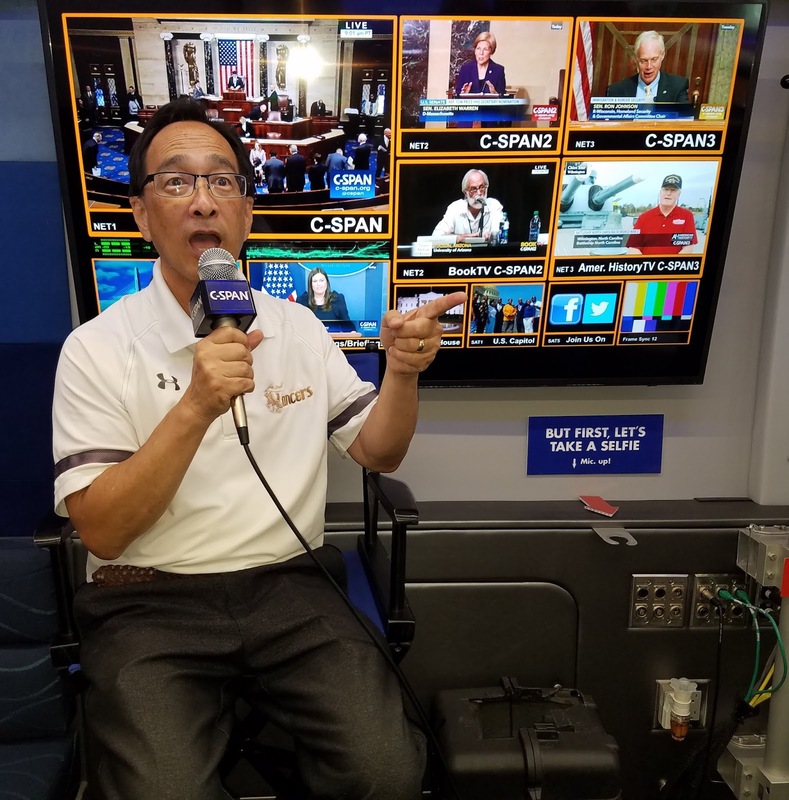 The C-SPAN (Cable-Statellite Public Affairs Network) Bus is on the road visiting all 50 state capitals to engage with teachers, students, elected officials and viewers to showcase C-SPAN's multi-platform public service resources. The 45-foot high tech, air-conditioned motor coach bus stopped in the heart of our very own Sacred Hearts Academy campus on Monday, August 20th, part of a 10-day visit in Hawaii visiting schools and cultural sites across Oahu and Maui. C-SPAN is a commercial-free public service that offers coverage of Congress' public policy discussions "all without editing, commentary or analysis and with a balanced presentation of points of view." The bus acts as a multi-media ambassador laden mobile classroom, spreading the word about C-SPAN's public affairs programming and extensive online resources. 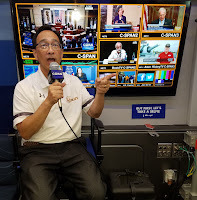 Students and teachers had the opportunity to speak with C-SPAN docents, engage in discussion in the on-board television studio that doubles as a classroom, and test their knowledge at interactive stations. Mahalo nui loa to Spectrum for sponsoring this outstanding opportunity for Sacred Hearts Academy and Hawai'i students and teachers! 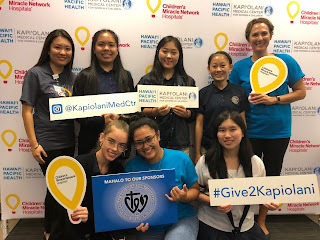 Sacred Hearts Academy was a proud sponsor of Hawaii Pacific Health's 12th Annual Kapiolani Medical Center for Women & Children's Radiothon! Current #GirlsGotGrit students paired with Kimi Tokunaga, '18, Sacred Hearts Academy and GGG alumna, teamed up to raise money to support Kapi'olani Medical Center's fundraising effort on Friday, August 10th. Following a short orientation, led by Emily Torres, former Academy Development Director, the student volunteers learned the ins-and-outs of manning the phone banks while KSSK broadcast the Radiothon and interviews live over the airwaves. The ladies were most excited to catch up and visit with Dr. Angela Pratt, current OB-GYN Chief and 2018 #SacredHeartsAcademy #GirlsGotGrit Mentor. Congratulations ladies on helping raise over $285K in support of Children's Miracle Network Hospitals!